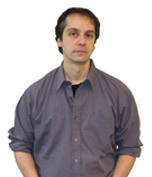 Michael Cuffaro’s philosophical interests are mainly in the philosophy of physics, the philosophy of computing, and the interrelations between them. His research investigates how looking at physical theories from a computational point of view can help to deepen our understanding of what those theories say. He is also interested in how considering the nature of computer algorithms can help to inform traditional, more general, debates between philosophers of science. Besides his interests in Philosophy, Michael is also an experienced Computer programmer, with over nine years of experience as a software developer. Michael received his Bachelor’s degree in Computer Science, and then his master’s degree in Philosophy, from Concordia University in Montreal. In 2013 he received his Ph.D. in philosophy from Western University. From 2013-2015 he was a postdoctoral research fellow at the Munich Center for Mathematical Philosophy, where he continues to be a member. I am interested both in contemporary and historical aspects of questions relating to the structure of our theoretical knowledge, the presuppositions implicit in theoretical practice, and in the relations between different theories, especially computation and physics. I have also published on topics in the general philosophy of science and in legal and political philosophy. My current research interests are the following. – I am interested in the distinction between `practical’ sciences (such as information theory and computer science) and `theoretical’ sciences (such as physics), the way this distinction becomes somewhat blurry in the context of quantum computer science and information theory, and the relevance of this distinction to another distinction sometimes made between `principle’ theories and `constructive’ theories. – I am interested in Kantian and neo-Kantian approaches to the philosophy of science (and logic and mathematics) and their relevance to the philosophy of modern physics, especially quantum mechanics. – I interested in the sense in which we can say that physics illuminates the study of various forms of complexity (e.g. algorithmic and computational), and vice versa. – I am interested in the philosophical characterisation of what it means to explain in a science, and in particular how considering the characteristics of computer algorithms helps to illuminate our concept of possibilistic explanation and our broader understanding of explanation in general. – I am interested in the distinction between `kinematical’ and `dynamical’ phenomena within physical theory, and in how it illuminates issues related to interpretation, especially in the context of quantum mechanics. – I am interested in the concept of an `open quantum system’, i.e. one for which we do not abstract away from its interaction with its external environment in our description of it, and in how taking this viewpoint as fundamental illuminates quantum theory. – I am interested in how agent-based computational modelling approaches illuminate questions in political philosophy, especially those for which the idea of a social contract is essential.